Well my plans to buy a M105 trailer and use it for my camping project have fallen through again. I had a plan to get one through the government auction in my area. There were 10 to choose from. We had a guy bidding for us and at the last minute the bids went from 230$(US) to 400$(US). So that put them out of the price range I was hoping to spend. There were several that probably went without bids. But the choice ones were sniped pretty heavily there at the end. I have other options. But not the funds for them. 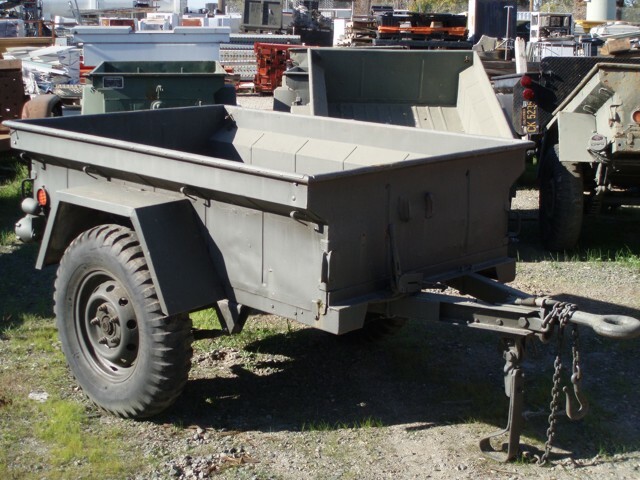 I found several M101 3/4 ton trailers which would be better for my uses but they are in the hands of private sellers and either in horrible condition or well over 600$(US) and 6 hours away from the OkieRover home base. At this point I’m going to just get my funds together and hope I can find a decent trailer. Either the M416 or M101(CDN) are still the ideal trailer for this application. But as they have been bought up the price of one of these starts around 900$(US). I’d like one of these because mostly I wouldn’t have to modify the trailer too much or install a lift kit on the Range Rover. 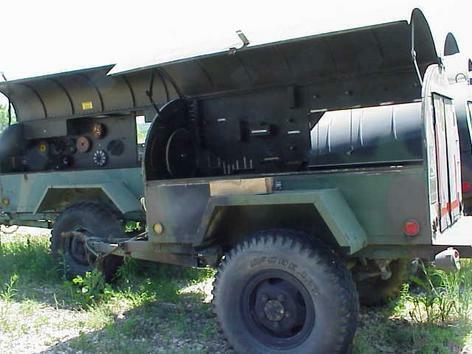 IF they didn’t weight 2700 pounds the M series ammo trailer that is being phased out now by the U.S. military would be a nice choice. But they are only found on the coasts. The 3.4 ton M101 is the next logical choice. Larger and a bit heavy at 2250 pounds. The height of the pintle would have to be changed to ride level behind the Range Rover. These also start around 900$(US) for something that needs a lot of work. The M105 are 2750 pounds and plentiful relatively speaking. But they require a lot of modification to get behind the Rangie. If go with a larger trailer I will want to build a kitchen to either swing out of or be stored within the trailer. The smaller trailers are definately just right to haul the gear needed for a 3 day stay anywhere. If I take anyone more than myself it requires at least 3 ice chests. As you have read here previously I have slept in the back of both my Land Rovers and that requires very little gear. But the goal of the project was to take the family on camping trips. It is a tall order to pack the gear necessary to have five people camping in the back of either Landy. So I think I’m back to looking for an old Toyota pickup to chop and make into a trailer. Similar to this excellent example from our friends at IH8MUD. 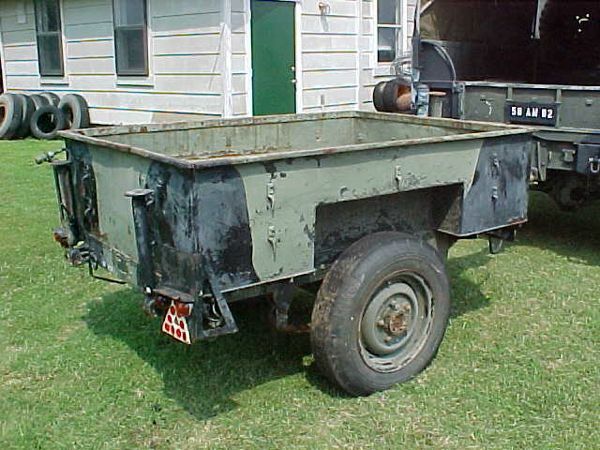 It’s pretty amusing to me now that I thought 750$(US) for a Sankey trailer like this one from Khaki Corps Imports was outrageous. It is the obvious first choice for anyone driving a British off road vehicle and would look smart being pulled by your Defender. Now they are going for 1000$(US) and up IF you can find one. So for now I’m going to cool my heals and look around. Maybe if things turn around financially price and budget management won’t be such a consideration. Jump on over to IH8MUD and check out their forums for great ideas on trailers. If you want to build your own you have to read REZARF’s home build trailer thread. Genius. 3 hours later: JagGuy has a plan more on that when I get the details. Basically I have a frame and axle and a really huge bed. The following Saturday February 28th: I happened through Binger Oklahoma. 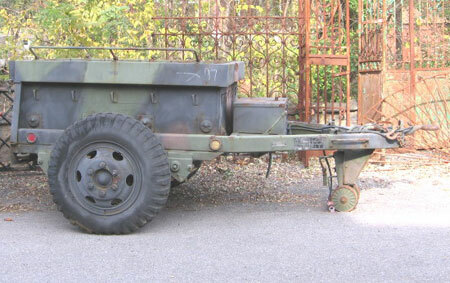 And a fellow there that sells militaria has TWO M116 tool trailers and TWO M101 3/4 tons. More on this after I call him. I wonder what his price is?